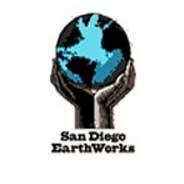 San Diego’s most celebrated and trusted printing and design company. Care about excellence, quality and the environment. We care about people and their needs. And think creatively along the way. Whether you need customized printing, graphic design services, branding and marketing or anything in between, we’ve got you covered. Family Driven since 1947. Family owned and operated since 1983, Spirit Printing Services, Inc. offers a personalized, panoramic approach to all of your printing and design needs. Let us animate your business one idea at a time. At Spirit Printing Services, our sterling reputation is built on a commitment to excellence at every level possible. Our equipment is state-of-the-art. We use the newest software and technology available, continually reaching for the cutting-edge. We are ecologically and environmentally responsible, using products and processes that won’t harm people or their surroundings. And we consistently look for ways to keep costs down so that we can offer fair and reasonable prices to you. One of the most distinctive things about us, however, is a family work ethic that has been passed down through the generations. Martin Joyce, our grandfather and trailblazer, modeled the values that continue to fuel our company. Integrity, dependability, and good old-fashioned hard work are the bedrock of Spirit Printing Services, and we take great pride in carrying on that legacy today. We’d love the opportunity to serve you. Whether you have printing or design needs, large or small, we are committed to helping you find the very best solution for you. Use many chlorine-free papers. Throughout the 20th century chlorine was the chemical of choice for bleaching paper products. Over the years it became clear that chlorine-bleaching paper mills emit toxic chemicals, including dioxins, lead, and mercury. Once these toxins are “disposed” of, they end up in our rivers and lakes, where they poison our water supplies and food sources. Recycle, Recycle, Recycle. With today’s technology recycling is a no-brainer. Why not use things more than once if it’s just as easy as consuming more of the earth’s resources? We recycle 100% of our high-grade aluminum press plates, and up to 90% of our paper waste and trimmings. In addition, we offer a large stock of recycled paper products. We use low and NO volatile organic compound (VOC) inks. In plain terms this means that our inks have an organic base rather than chemical, like the difference between soy and petroleum. We relocated our facility. Recognizing that many of our employees had significant commutes, we moved our office to a location that was much closer to where they live. If we don’t have to drive as far to work, we use less gas, generate less pollution, and save a whole lot of time! Leading environmental groups believe in us. We are proud to have won a 2008 Earth Award, and most recently won the inaugural Thought Leader Award from the What They Think Environmental Innovation Awards. The competition recognizes businesses that go “beyond certification.” Spirit Graphics and Printing, Inc. was selected from a pool of other printing and design companies throughout North America, and designated the 2009 Thought Leader amongst printing companies. 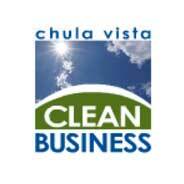 We are participants in Chula Vista’s Clean Business Program. This means that we meet or exceed the program’s standards of pollution prevention, solid waste reduction, and water/energy conservation. We have also won the Prestigious Coolcaliforina Award. 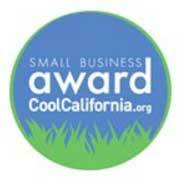 The California Air Resources Board, in partnershipwith several other organizations, proudly announces the 1st annual CoolCalifornia.org small business award winners. The award recognizessmall, California businesses (under 100 employees) that have demonstrated leadership and madenotable,voluntary achievements towards reducingtheir climate impact. Program which is administered by the California Air Resources Board. The program recognizes small California businesses and organizations (under 100 employees) that have demonstrated exceptional leadership and made notable, voluntary achievements towards reducing their climate impact. What they think? May 2009. 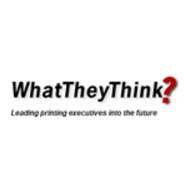 “What They Think” Environmental Thought Leadership Award. ” In recognition of implementing Innovative, Creative, “Green Processes”. April 2009, City of Chula Vista Clean Business Award. The Environmental Services Division of the Public Works Department is responsible for pursuing waste management strategies that emphasize more efficient use of resources through waste minimization/reduction, reuse, recycling and environmentally sound disposal strategies. Each year, EarthWorks recognizes businesss, clubs, organizations and/or individuals that deserves special recognition for their work on behalf of a clean, healthy environment. All too often, these organizations’ and individuals’ efforts go unrecognized and unacknowledged.